The Army Basing Programme (ABP) was set up to provide the facilities the Army needs to live, work and train in the UK as it returns from Germany, rebases across the UK and restructures to its future Army 2020 formations. The Government has committed about £1.8 billion to the programme for investment in infrastructure across the UK – providing some 1,200 new homes for service families, thousands of bed spaces for single soldiers and upgrading or expanding work space and technical infrastructure at a range of barracks. I’m Terry Williams, part of the Environment and Planning Support (EPS) team within DIO’s Safety, Environment and Engineering section. With the recent re-launch of the Sustainability and Environmental Appraisal Tools (SEAT) Handbook, I thought it timely to illustrate how EPS and the Handbook support the delivery of DIO’s infrastructure programmes. As one of three Environmental Planners assigned to ABP, it is my role to help identify the environmental and socio-economic effects of the development proposals. We work closely with project teams, subject matters experts and local and regional authorities to assess the demands of rebasing on housing stock, community amenities, training infrastructure and the natural environment. These assessments not only set the context for future planning applications, but provide credible evidence to the approvals and scrutiny community that sustainability factors have been considered throughout the project development. A tiered Sustainability Appraisal (SA) looks at the potential effects of the proposed developments at the national, regional and site-level on factors such as landscape, biodiversity, historic environment, groundwater vulnerability, land condition, community facilities, transport routes, green space and employment opportunities. Where appropriate, proposed developments are screened for Environmental Impact Assessment (EIA). In the case of Salisbury Plain, an Overarching Environmental Appraisal (OEA) was produced to support Wiltshire Council with planning approval for the infrastructure and accommodation required for the movement of 4,300 troops plus their families to the region. The OEA formed part of the DIO's Salisbury Plain Training Area Masterplan, which received a commendation in the 2015 Royal Town Planning Institute (RTPI) South West Awards for Planning Excellence. Whilst I’m not taking credit, I believe both of these assessments illustrate DIO’s responsibility for identifying possible significant impacts and supporting recommended measures to mitigate any adverse effects identified or enhance positive ones. 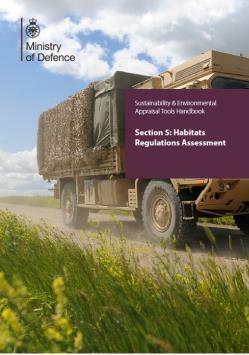 For sites located close to designated sites for nature conservation, such as those designated as a Special Area of Conservation (SAC) or Special Protection Area (SPA), colleagues within EPS can support a Habitats Regulations Assessment (HRA) screening exercise. 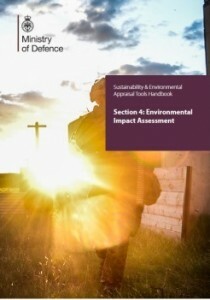 This determines whether proposed works, in combination with any other existing plans or projects, are likely to result in significant environmental effects. 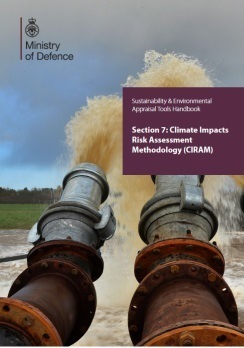 Flood Risk Assessments help identify the risk to proposed developments from flooding and, where appropriate, the establishment’s Climate Impact Risk Assessment (CIRAM) is reviewed to understand its resilience to flooding and other problems which can be caused by the weather. This is particularly important for establishments such as Thorney Island, which are in low lying coastal regions. 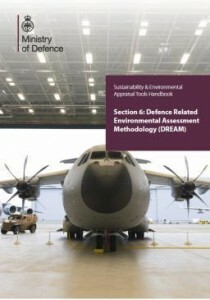 We’ve worked closely with project teams, for example, at South Cerney, to ensure the built environment is designed and constructed using the Defence Related Environmental Assessment Methodology (DREAM). In the case of South Cerney, a series of workshops was held with the consultant, DIO staff and site personnel to discuss and develop the design for the gymnasium. DREAM sets standards for sustainable construction, to provide users with buildings that meet their requirements. This ensures that environmental issues are dealt with positively, whole life costs are assessed and better living and working conditions are delivered. Using these tools allows my colleagues and I to make sure that new developments comply with our statutory environmental responsibilities, are designed to provide value for money over their lifetime and will not have significant negative impacts on the local environment. It’s a vital part of DIO’s planning work. The tools support the project processes, but community and stakeholder engagement has also been fundamental in shaping proposed developments through events and exhibitions. 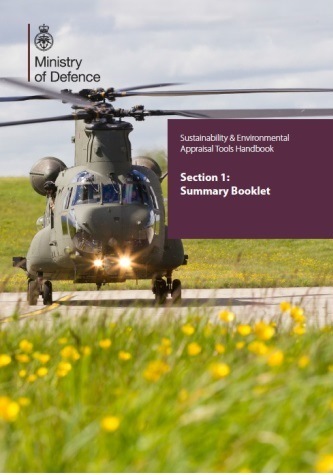 The public were invited to comment on the proposals for Salisbury Plain and the kennelling project at North Luffenham (amongst others), where ABP representatives provided assurance about the management of impacts on the local environment. 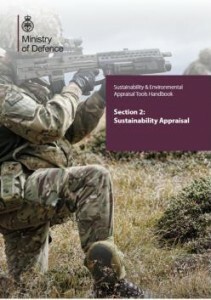 ABP illustrates the value of close engagement within DIO using agreed environmental assessment methods and best practice, together with effective communications with industry partners, statutory bodies, planning authorities and local communities, to shape proposals that can work for everyone, delivering enduring quality and sustainable solutions.